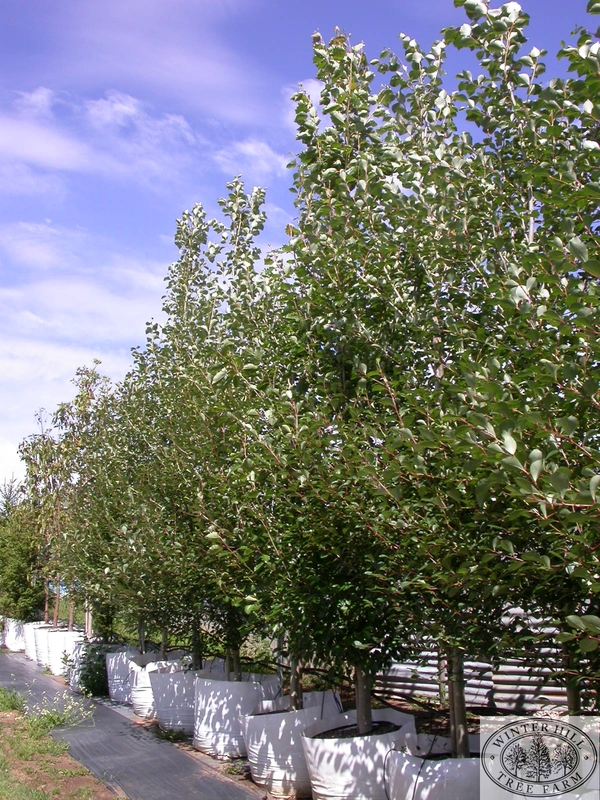 Fastigiate, quick growing deciduous tree resembling the Lombardy Poplar in growth habit. Does not sucker. Small shiny leaves, rounded to diamond shaped, pale silvery underneath, first to appear in spring. Trunk develops to a lovely white when older. Rust resistant. Prefers deep moist soil.